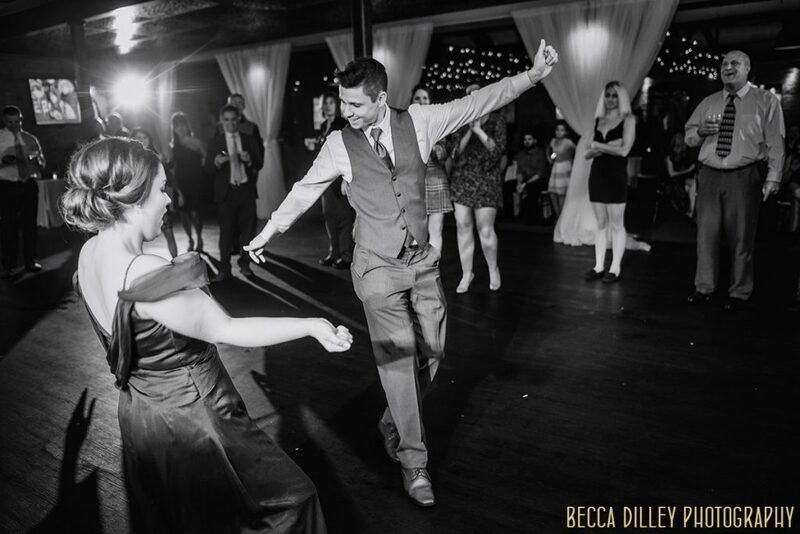 Here is what I want for anyone planning a wedding – plan a celebration that you can actually enjoy being in. 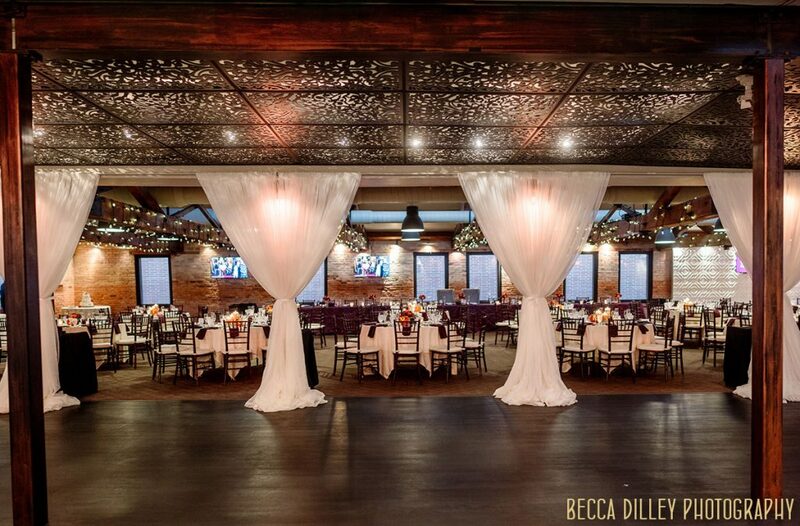 It doesn’t matter if your wedding is in a courthouse or a formal ballroom – don’t get so caught up in planning and details that you forget to live it! 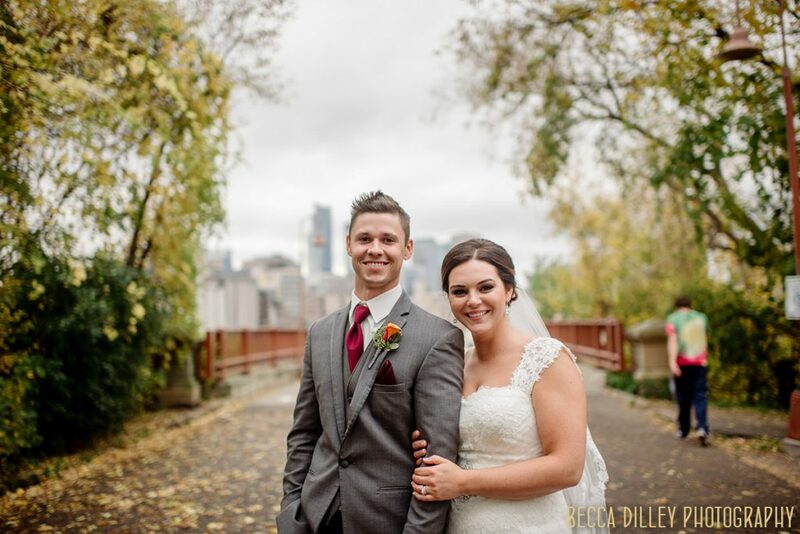 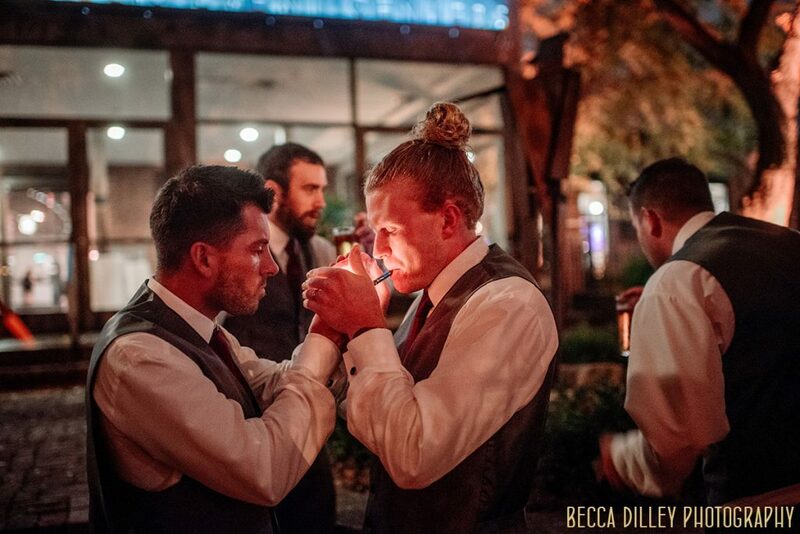 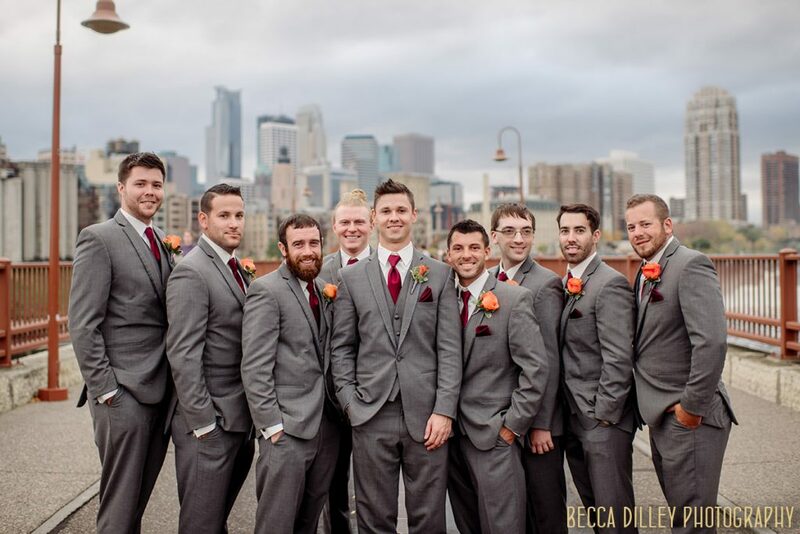 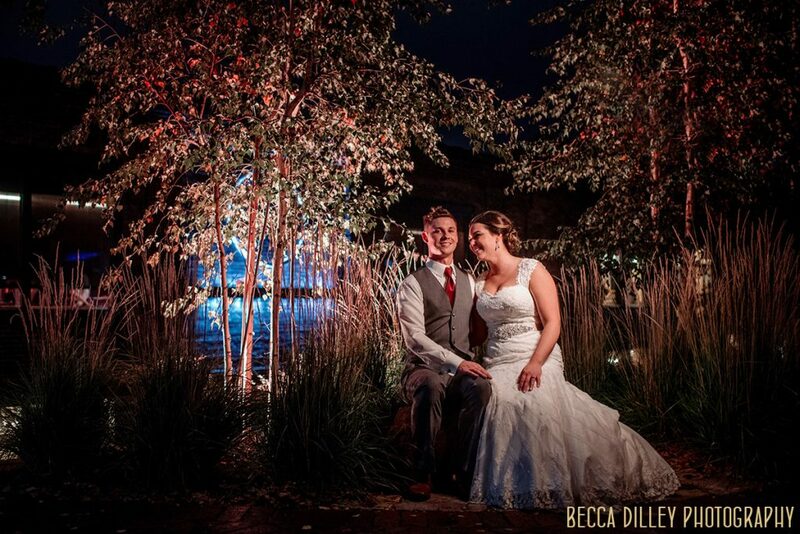 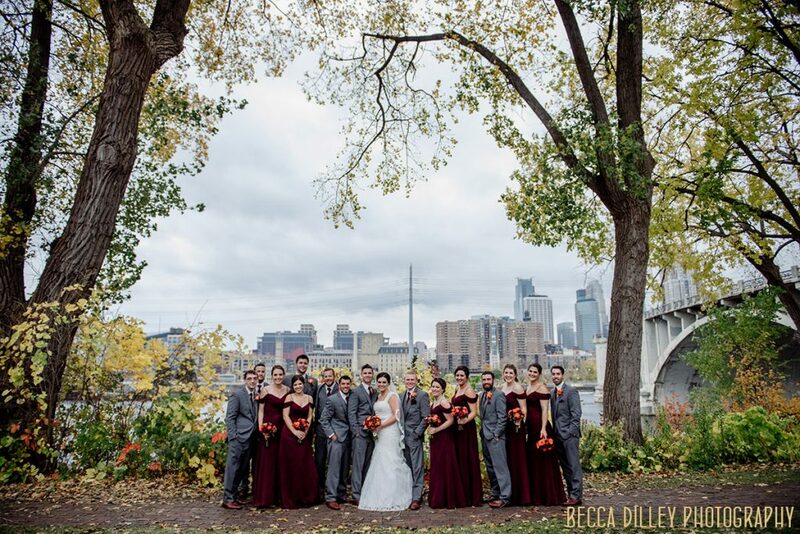 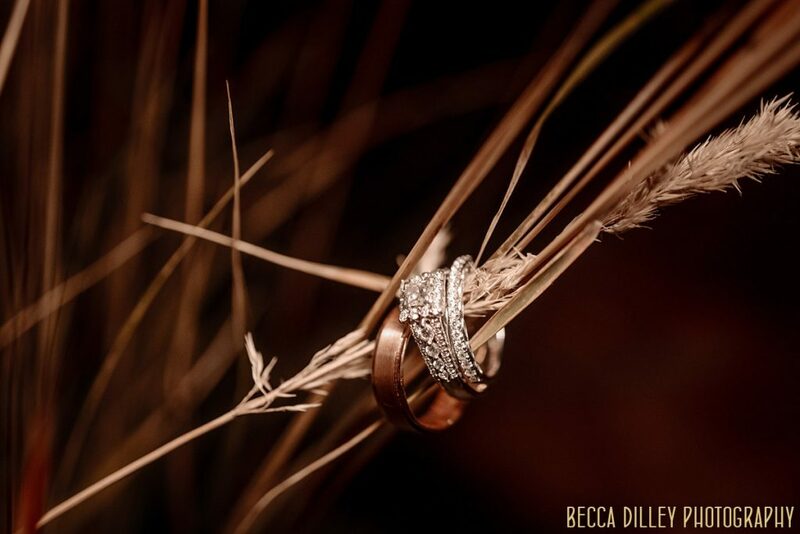 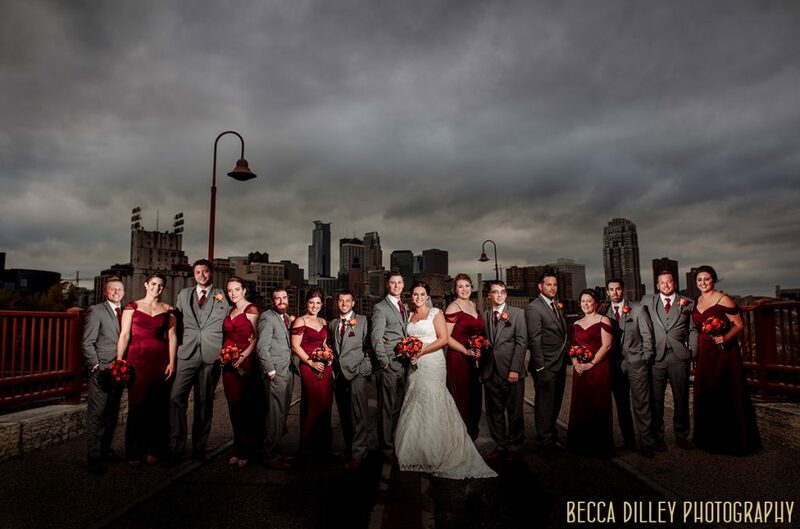 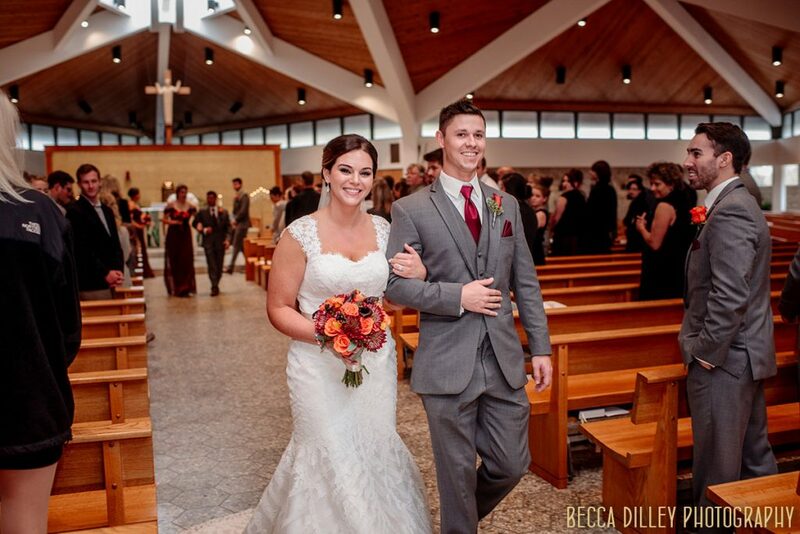 So I am so thrilled to share images from Katie and Jake’s Minneapolis Event Center Wedding. 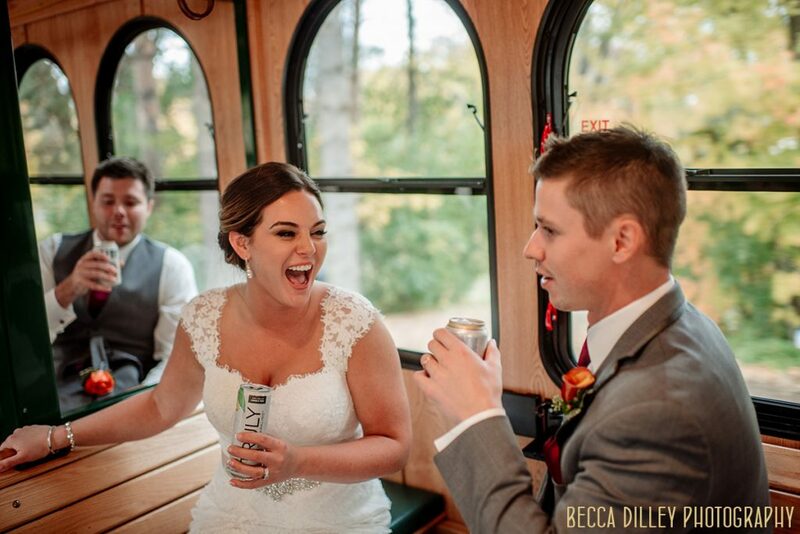 Katie and Jake are definitely surrounded by people who love them, who love their two giant dogs, and who want to celebrate with them. 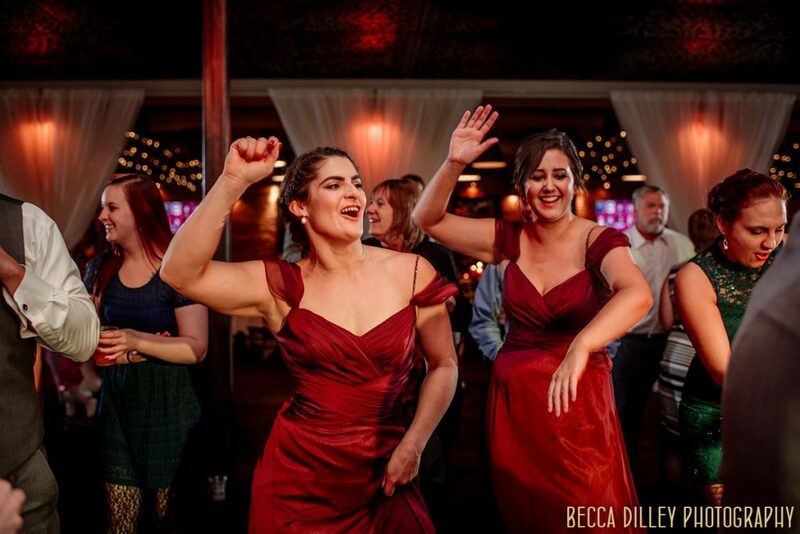 They let loose on the dance floor, they wear their hearts on their sleeves, and they are not daunted by stormy skies. 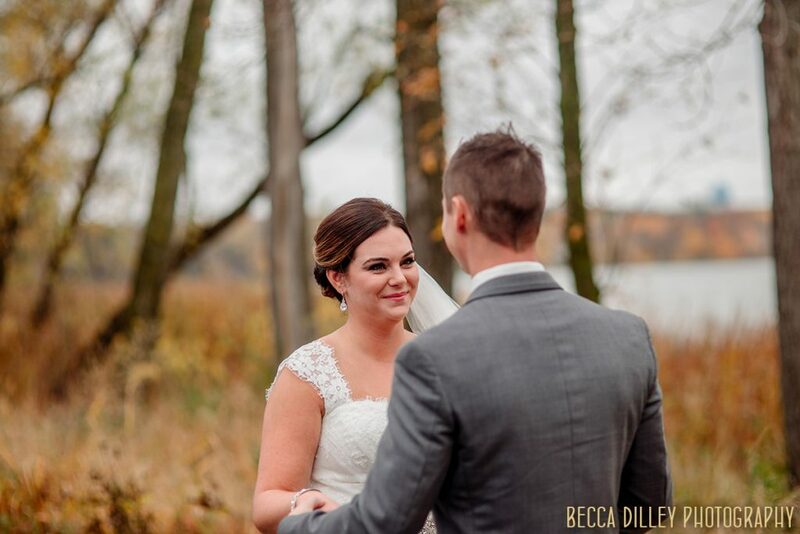 Thanks for choosing me to document your wedding – it was a blast, and it was beautiful, and I feel really honored to have been with your people for this day! 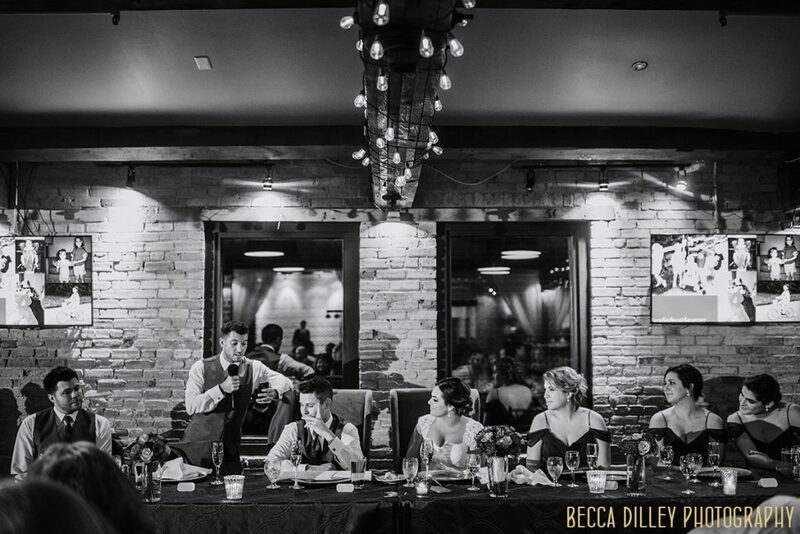 I’ve been at Minneapolis Event Center a few times for weddings, and it is a spectacular space that combines the brickwork and architecture of Old Minneapolis with awesome views and some modern touches. 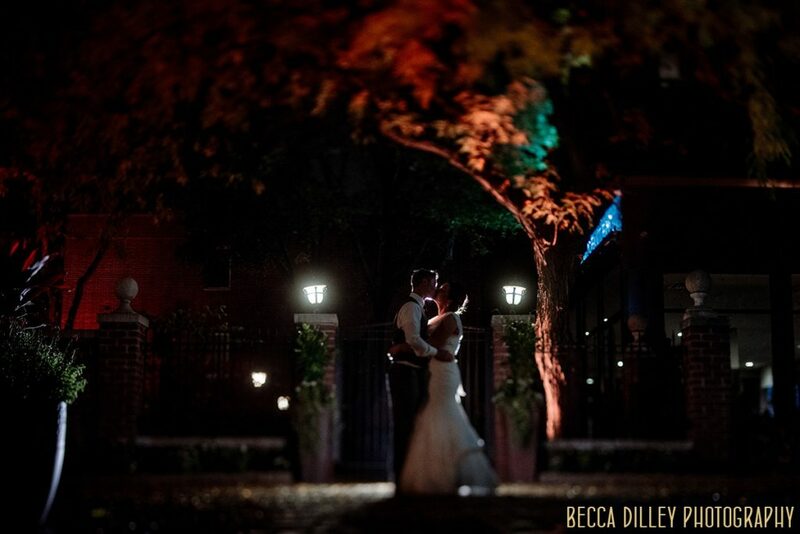 I’ve loved photographing there, and it is particularly nice to be on the patio when the weather cooperates. 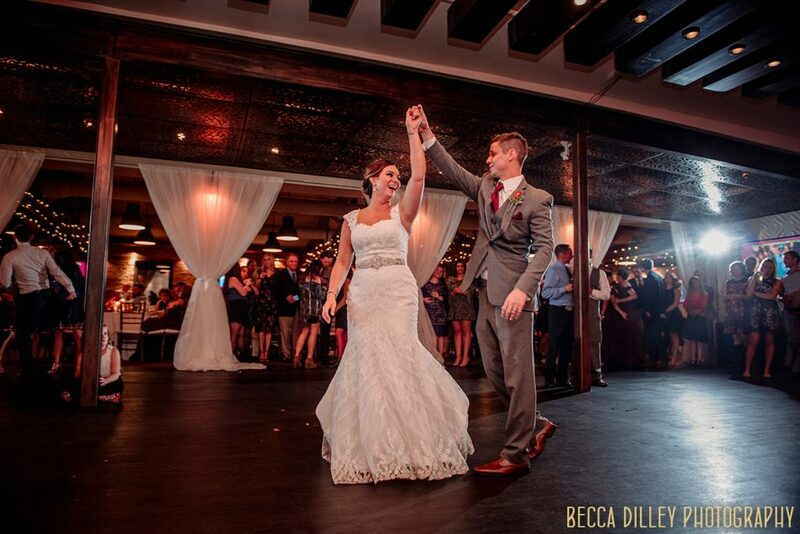 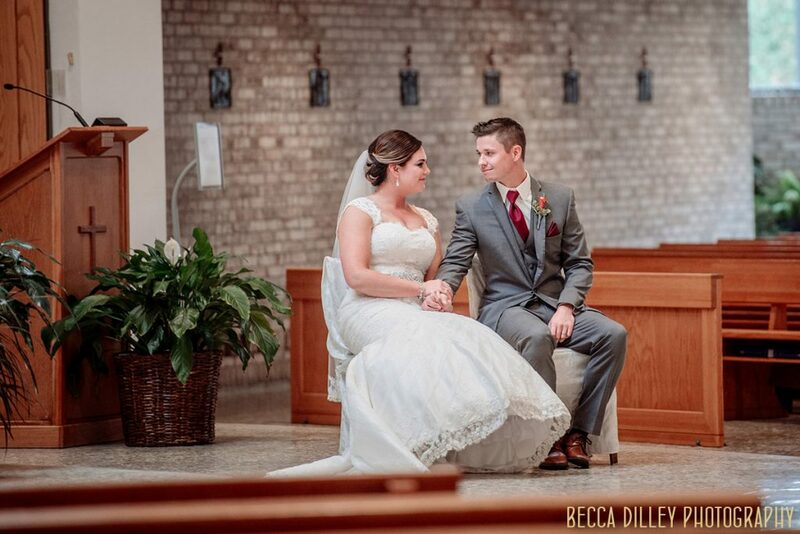 For this wedding, Katie and Jake were in the MEC Grand Room. 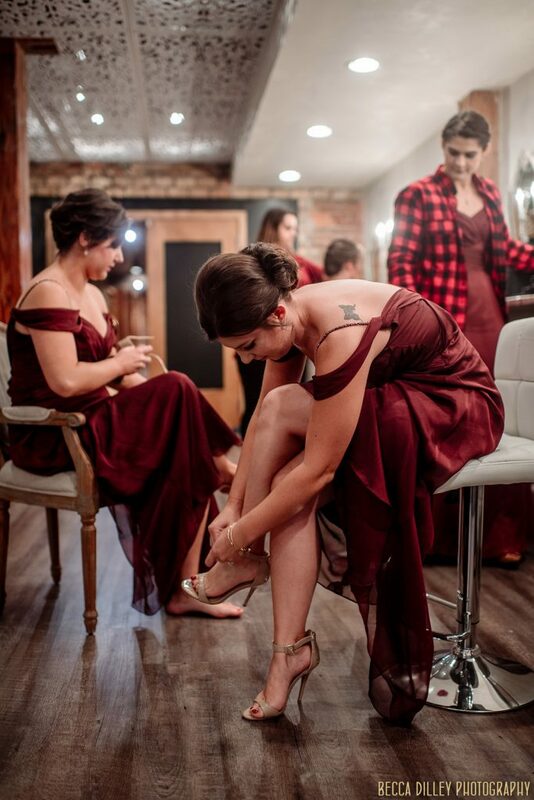 They got ready there, and then had their ceremony off site, returning for the reception. 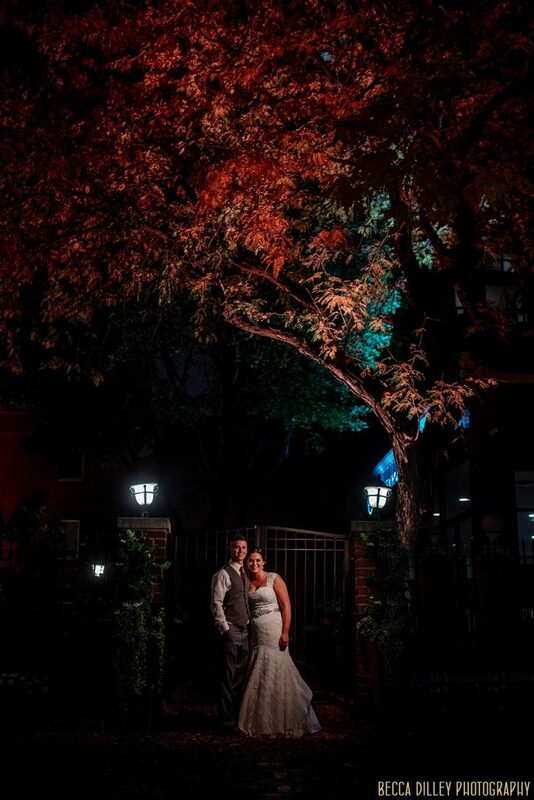 It all went super smoothly, the space looked amazing for dinner, and we were able to take some photos outside the space at night. 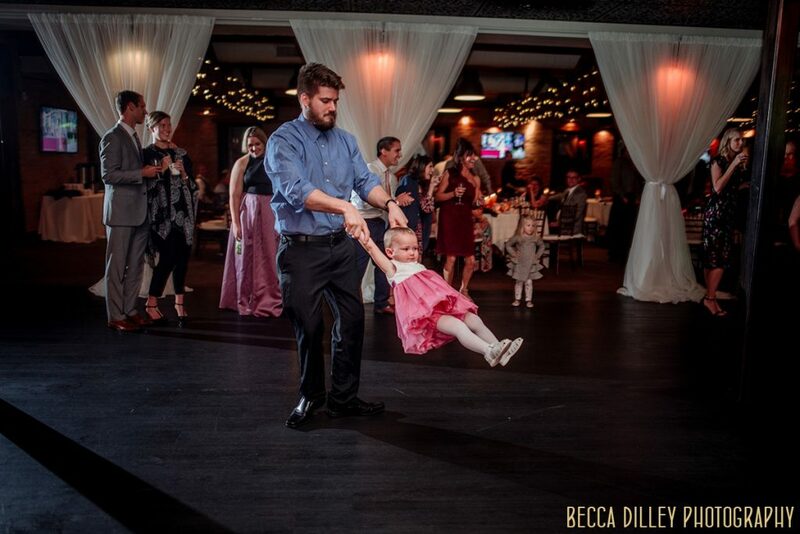 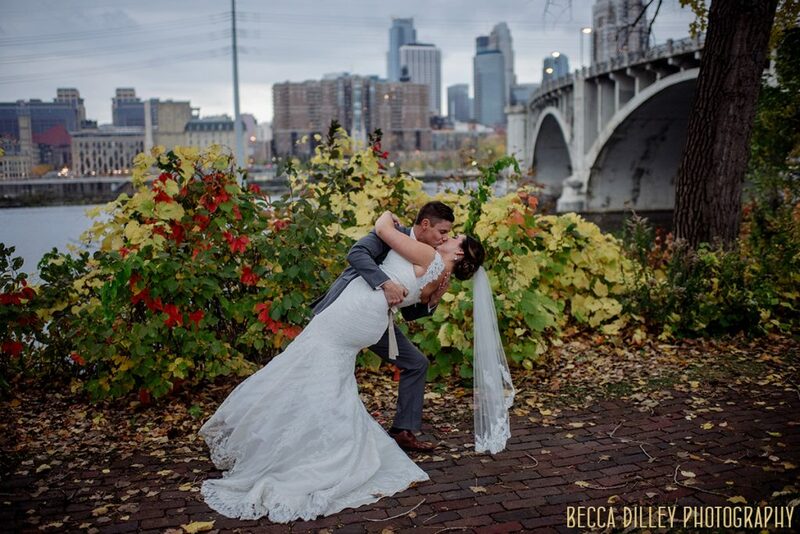 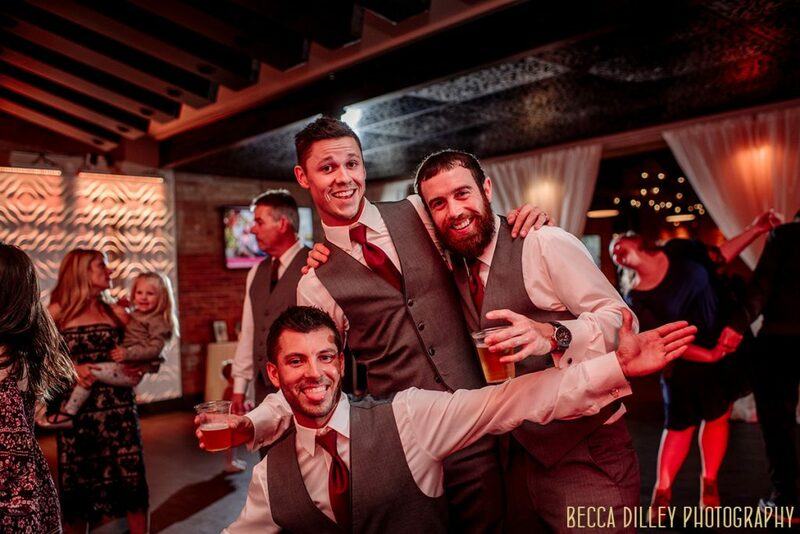 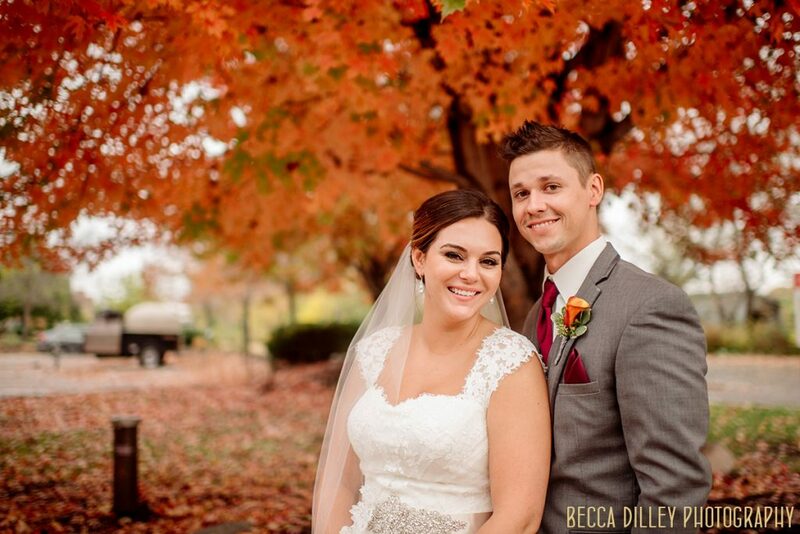 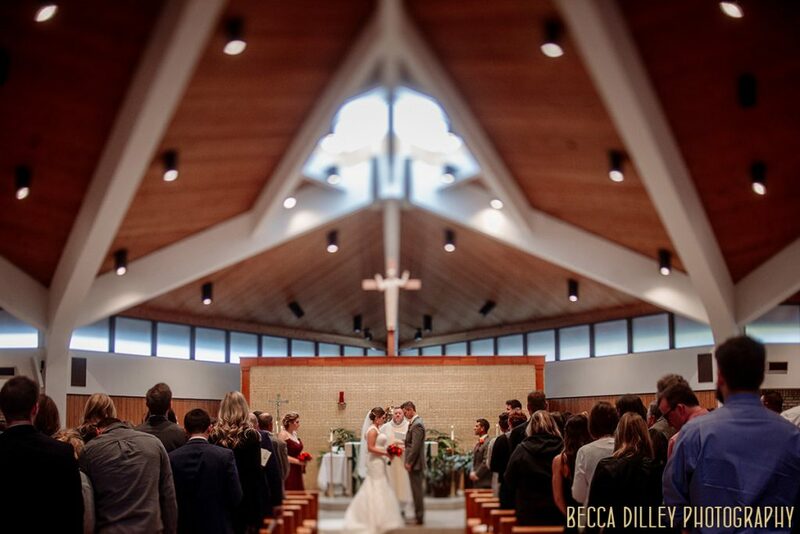 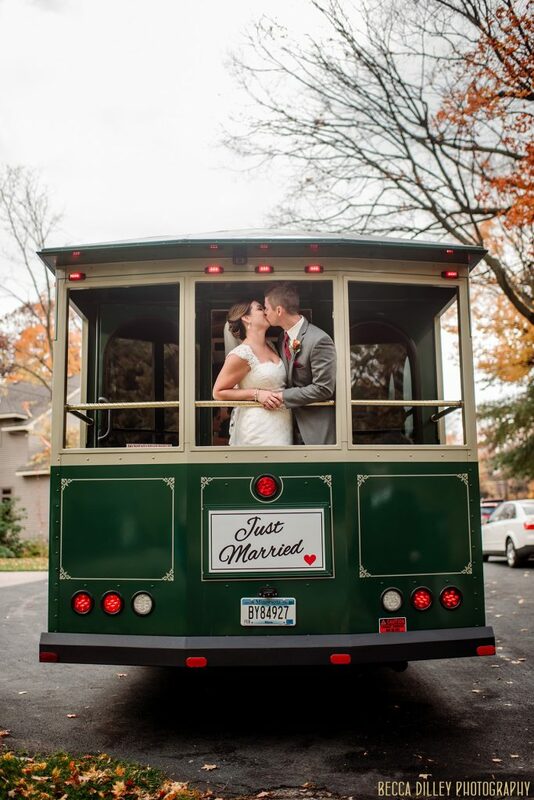 If you are thinking about the Minneapolis Event Centers for your wedding, I would love to chat with you about photography and give you more info! 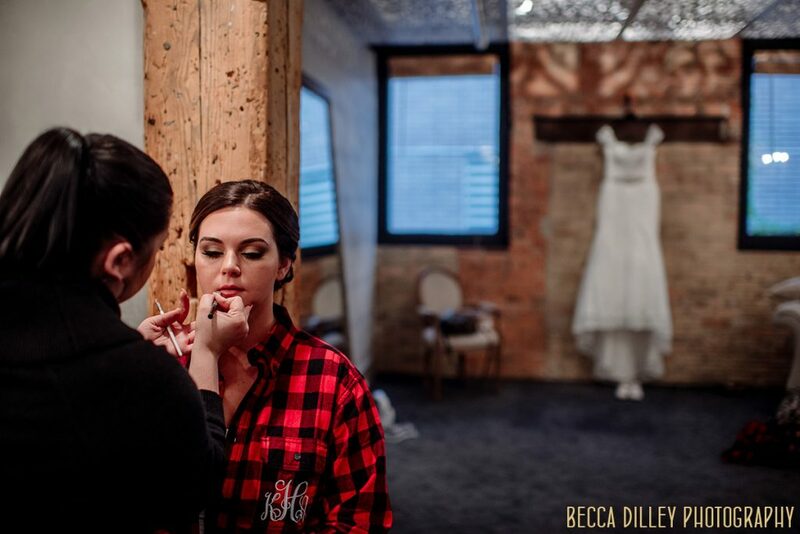 I love a good red flannel for getting ready photos! 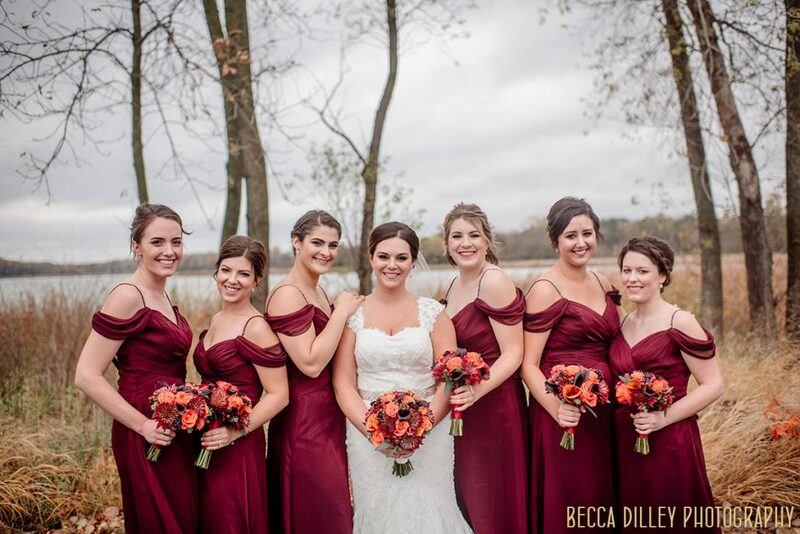 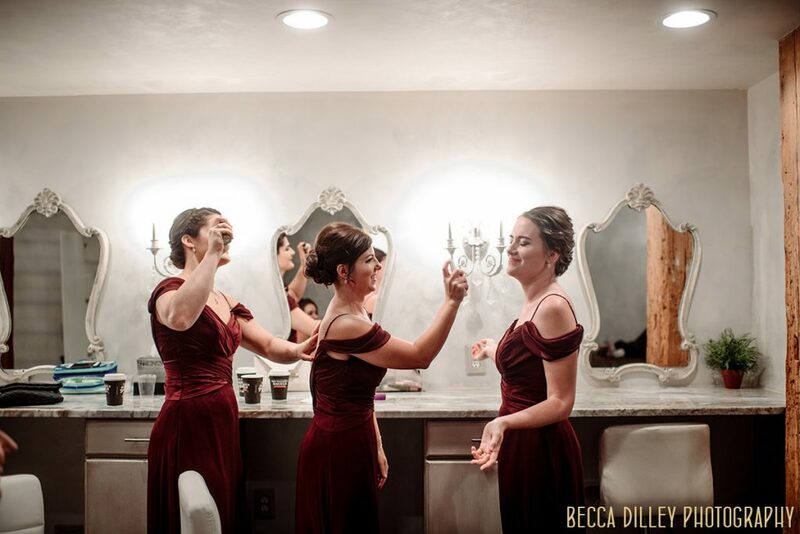 Waiting for the right moment when all the bridesmaids line up just right.